On this day in 1961, Jackie Kennedy was elected the new American fashion icon and milliner Halston became a house-hold name. (Oh, and John F. Kennedy was sworn in as the 35th President of the United States.) Young and beautiful, Jackie was an exemplar of early 1960s elegance and sophistication and a much welcomed breathe of fresh air in the First Lady department (a position not commonly associated with supreme style). 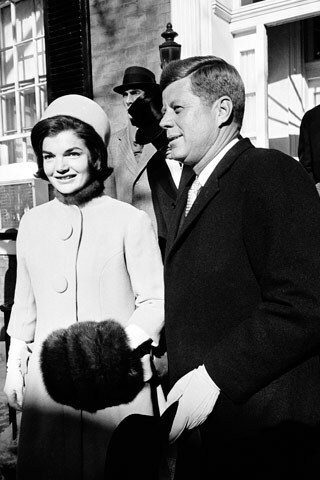 To Kennedy’s inauguration on January 20th, Jackie wore a pale Oleg Cassini dress and a beige A-line coat accessorized with white opera gloves, muff, neck warmer and black sable-trimmed boots. She completed her outfit with a simple pillbox hat designed by a then-unknown Roy Halston Frowick, the head milliner at Bergdorf Goodman’s. Jackie’s continued patronage of Halston thrust him onto the national stage. American women wanted to mirror Jackie’s style—they wanted Halston’s hats. 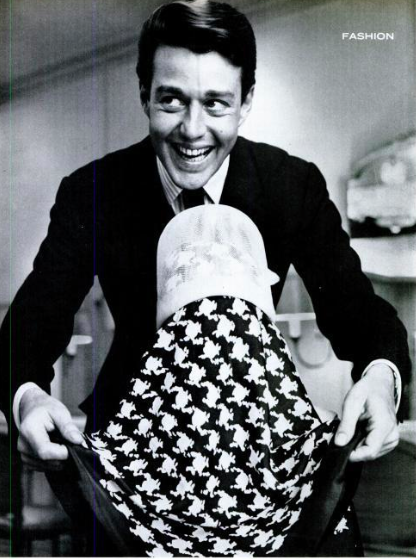 The year following the inauguration, Halston was awarded the prestigious Coty American Fashion Critics Award for millinery, and in 1966 he began his fashion design career, presenting a clothing collection for Bergdorf’s. The rest, as we say, is fashion history.